If your order weighs less than 13 ounces, save huge on shipping with USPS first class (with tracking number). This product weighs 35.3 oz. Nature’s Sunshine extracts the natural clay Bentonite, Hydrated, from volcanic ash to assist in detoxifying the intestinal system. 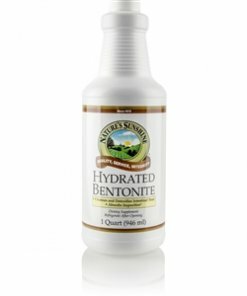 The microfine USP-grade bentonite is suspended in a base of purified water and promotes the body’s natural cleansing properties by absorbing and helping eliminate toxins. 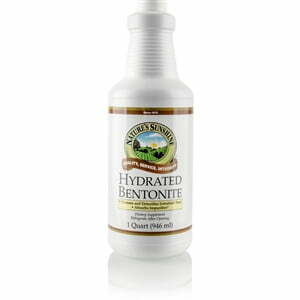 Bentonite is also a source of trace minerals. Instructions: Take one tablespoonful with a glass of water twice daily as an aid for detoxification via the alimentary canal.